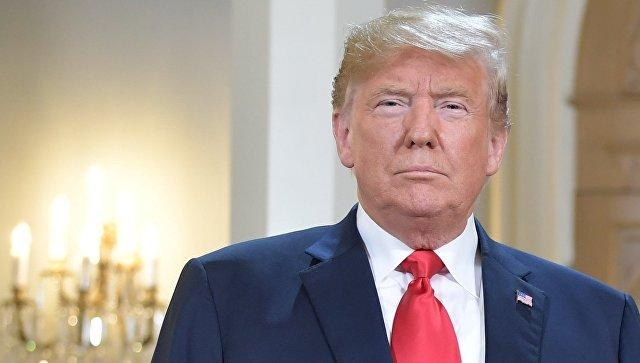 US President Donald Trump has said that he would not declare national emergency for now to solve the border security funding issue and partial government shutdown, Sputnik reports. Donald Trump said that he would not declare national emergency for now, adding that he would rather see the US Congress act. The US federal government has been partially shut down since December 22 over continuing standoff over proposed border fence and security measures funding sought by President Donald Trump and opposed by congressional Democrats. On Wednesday, Trump met with House of Representatives Speaker Nancy Pelosi and Senate Minority Leader Chuck Schumer, but the meeting ended quickly after he walked out because the Democratic leaders did not compromise on funding. Trump argues that a wall is needed as according to US immigration officials there are more than 60,000 illegal aliens blocked by border officials from entering the United States each month, while Democrats claim that physical barriers are ineffective and that Trump has engineered a fake crisis. Trump has been earlier warning that he could declare a national emergency that would allow the president to order US troops to build a wall on the country’s southern border.